Wooli Caravan Park, owned by Clarence Valley Council, is situated 50kms south east of Grafton on the Wooli peninsular. 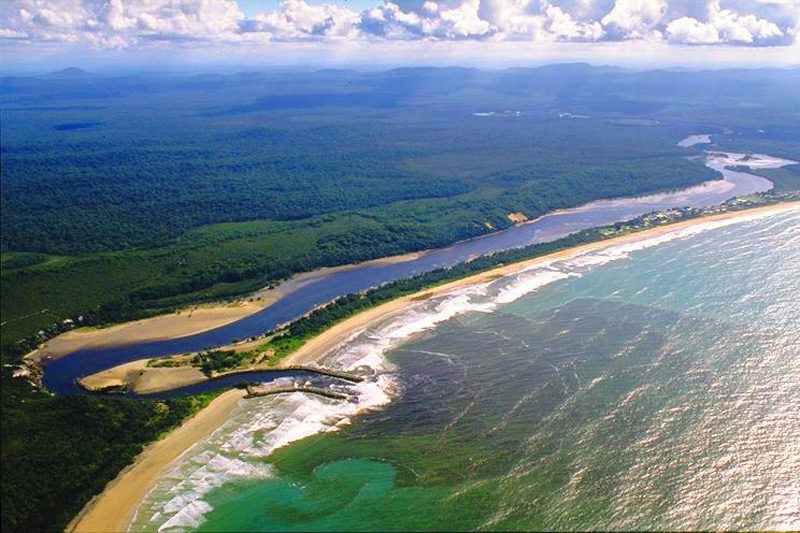 The peninsular is so narrow that the park boasts both river frontage and is only metres from the ocean. The Wooli Caravan Park requires a new sewerage system to replace the current failing septic system. The new sewage treatment plant will service the site office, amenities block and 40+ permanent and short stay sites. After tendering against more than a dozen companies, True Water Australia were awarded the contract based on cost and quality and the ability to satisfying environmental guidelines. “Being so close to the pristine waters of the Wooli River, a protected habitat zone of the Solitary Islands Marine Park and oyster catchment area, meant that the system implemented must satisfy strict environmental conditions” said Karl Hansen. True Water Australia will install a Kubota Advanced Sewerage Treatment system with all works scheduled to be undertaken in March and completed within one week. With permanent sites and the park being well used year round, the new sewage system will be installed with zero disruption to residents and visitors while reducing the current footprint of the sewage system to incur no loss of revenue due to site reduction.